The PM4 Performance Monitor contains an "ANT" chip for wireless communication with ANT heart rate equipment, and also for PC-less racing and future communications with a PC. LogCard: Removable LogCard stores workout data and personal preferences. A LogCard is included with every PM4. Heart Rate Monitoring: Built in wireless compatibility with ANT heart rate technology (chest belt provided), offers improved transmission and eliminates interference from nearby rowers. Also compatible with Polar heart rate technology, if optional Polar receiver is installed (available from Concept2). Rechargeable Battery Pack: As you row you will actually be recharging your battery. The battery pack can also be recharged by connecting the PM4 to a PC through the USB port. Increased Memory Capacity: to allow for future expansion and features Supports Machine to Machine Racing: has the computing power to support both wireless and wired racing. No PCs needed. See the PM4 Racing page for more information. 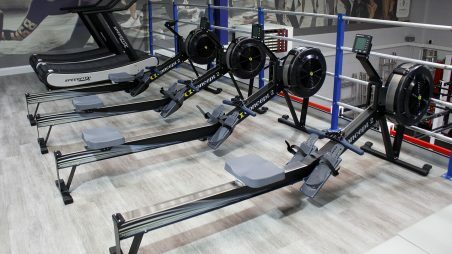 Each PM4 can be used in conjunction with a Concept 2 LogCard. The LogCard will automatically store all your workout data so that you can chart your improvement over time. 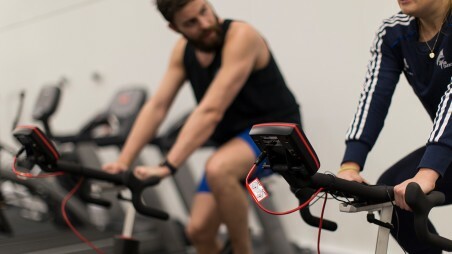 You can also program and store your favourite workouts on the LogCard for instant set-up, as well as download all data to a PC or Mac using the Concept2 Utility software.